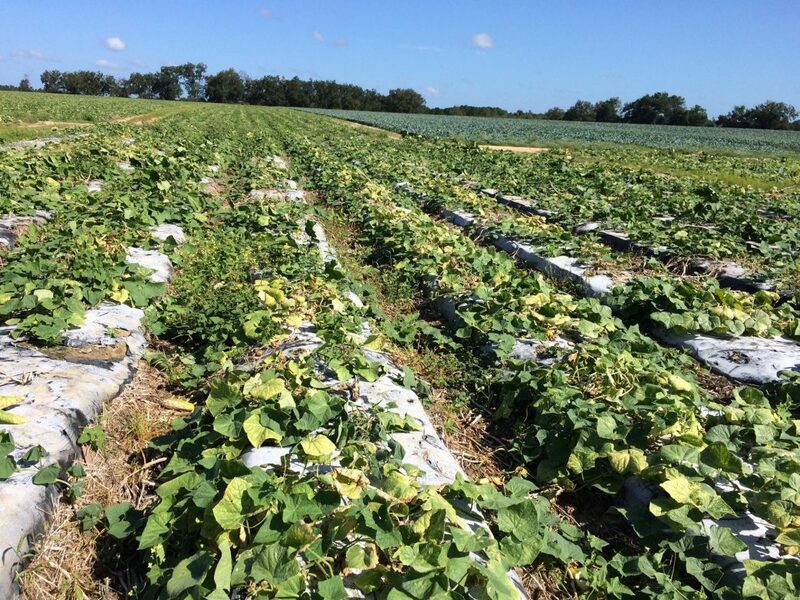 Cucumber field infested with root knot nematodes. Photo from Hajihassani. 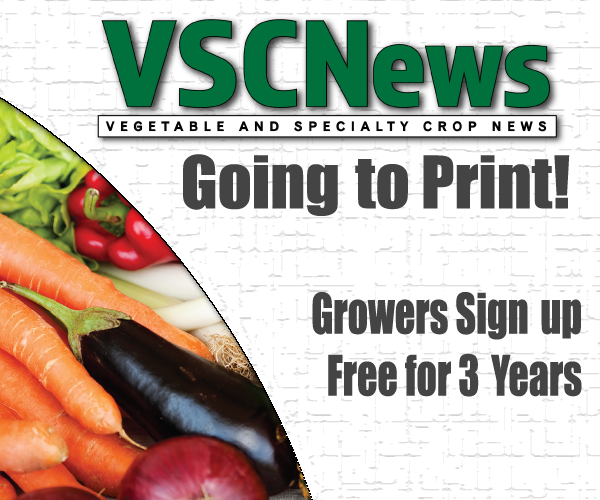 Plant parasitic nematodes continue to cause devastating losses and concerns for southeastern vegetable and specialty crop growers. Abolfazl Hajihassani, assistant professor of nematology at the University of Georgia (UGA), said that past studies have found there are five or six types of plant parasitic nematodes that affect vegetables crops, but the root knot nematode is the most damaging. The root knot nematode is a worm-like pest that infects more than 500 vegetable, specialty and row crops. Hajihassani said his job at UGA is to help growers find new management strategies, including studying the effectiveness of new fumigant and non-fumigant nematicides, resistant varieties, cover crops and crop rotation. He is also interested in discovering and studying new species of nematodes that may have been present in the past but not yet recorded. Currently, many vegetable growers use plasticulture to grow their crops. Prior to placing the plastic down, growers spray fumigants into the soil to kill the nematodes that are present in the upper 8 to 12 inches of the soil. He said growers tend to plant three to four crops with the same plastic. This provides a suitable environment for nematodes that are present in the lower part of the soil to move up again and begin to increase their population. Even though the growers apply post-plant nematicides, they still have many problems with nematodes, Hajihassani said, because most of the vegetable crops are very susceptible to nematodes, in particular root knot nematodes. Since this cropping system allows the nematodes to return in a short period of time and continue to affect the crops, other management strategies are being studied. The use of cover crops in the field to help suppress nematode populations is one strategy Hajihassani is examining. Along with cover crops is the possibility of using crop rotation. 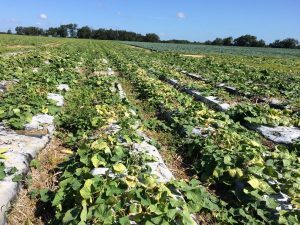 This would require the grower to plant a non-host crop that does not attract nematodes before bringing the original crop back into the field again the next growing season. Varieties resistant to nematodes would also be beneficial to growers by allowing them to worry less about their management strategies. The research done by Hajihassani and others at UGA is to help growers find improved strategies to manage nematodes in their crop. He said his main objective is to help growers achieve better quality and quantity in their crops.